Factory KTM star Shaun Simpson and former World Motocross Champion Stefan Everts headline this weekend’s Weston Beach Race. Everts won last year’s race from Simpson and the pair of them line up against other top names like recently crowned British Champions, Brad Anderson and Stephen Sword. Scott Elderfield has also signed up for the race, as has James Noble, who will compete aboard his Proppa.com STR Honda steel-framed 500cc two-stroke just to make things interesting! This year’s Weston Beach Race has attracted around 1000 solo riders for the race on a three-and-a-half mile sand cours,e which includes a flat-out sprint down the beach and a return over countless dunes. The gruelling marathon lasts three hours and last year’s massive 100,000 attendance is expected to be repeated. 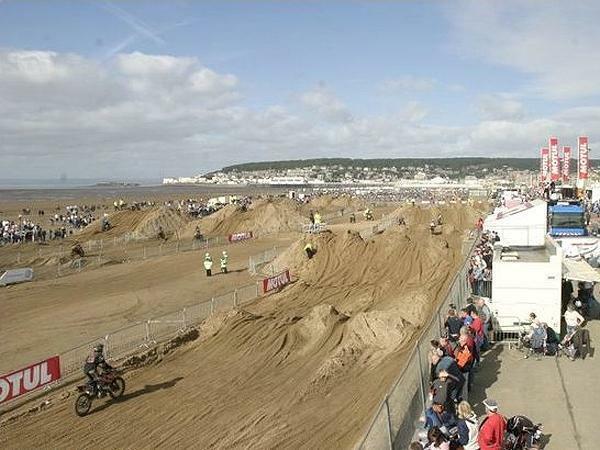 This 27th Weston Beach Race is probably the biggest and best yet, with a packed programme of racing and entertainment. Sunday's solo race will obviously be the main attraction on track, but Friday will see a full schedule of mini-bike racing, while the quads and sidecars will be livening things up on track on Saturday. The main solo race will be preceded by youth race on Sunday morning, meaning non-stop action for spectators over the full three days. Off track entertainment has also been ramped up for this year's event, with the highlight being an exclusive display by the Red Bull Matadors Aerobatic Team on Sunday, shortly before the start of the solo race. The two Red Bull Matador pilots, Steve Jones and Paul Bonhomme, will be putting their Zivko Edge 540 planes through a wide repertoire of formation patterns at Weston, including a head-to-head approach at a closing speed of more than 400 mph. The West Beach Race takes place this weekend, October 9-11. Racing starts at 11.00am on Friday, 09.30am on Saturday and 10.00am on Sunday. The main solo race on Sunday starts at 12.30pm.